Northern Society of Chartered Accountants (NorSCA) and ICAEW are pleased to announce that we will again be sponsoring the Independent Firm of the Year Award at the North East Accountancy Awards 2014. To enter the Independent Firm of the Year category a firm must have an accounting practice head-office in the North East and can have up to six offices. 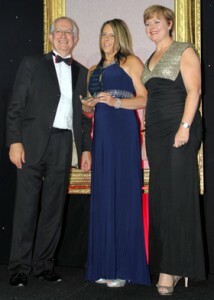 Full details are included on the North East Accountancy Awards website. The deadline for nominations to be received is Friday 28 February 2014. The awards dinner will be held on Thursday 26 June 2014 at the Hilton NewcastleGateshead. 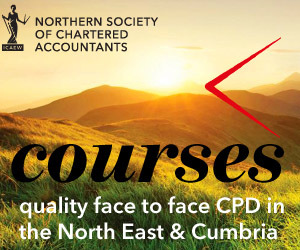 Last years 7th annual North East Accountancy Awards were presented at a dinner held on 13 June 2013 and ICAEW Chartered Accountants celebrated the success of fellow north east finance professionals in a glittering evening that was hosted by Carol Malia (from BBC Look North). The event, which involved close co-operation from CIMA, AAT, CIPFA, ACCA, CIOT as well as ICAEW was attended by 400 people and raised over £6,000 for the Sunshine Fund with fund matching from Barclays. Pictured is Nick Lambert, Immediate Past President of Northern Society, presenting the Independent Firm of the Year Award 2013 to Joanne Regan of Evolution Business & Tax Advisers LLP with Carol Malia.